Tottenham Hotspur head coach Mauricio Pochettino appears to have contrasting transfers plans for his attack and his defence. According to Sky Sports, Spurs will sign Marseille winger Georges-Kevin N’Koudou in the coming days, before Pochettino plans to switch his focus to signing a central attacking midfielder capable of playing as a no.10 or no.8. Mainz’s Turkey international Yunus Malli, 24, Dinamo Zagreb teenager Ante Coric, 19, and Belgian Anderlecht youngster Youri Tielemans, also 19, are on a list of Tottenham transfer targets, so say Sky. While Pochettino is plotting to use the transfer market to bolster his attacking ranks, he seems ready to dip into Tottenham youth set-up for defensive cover. Sky claim that Federico Fazio is likely to join Sevilla, which would leave Spurs with only Toby Alderweireld, Jan Vertonghen and Kevin Wimmer as senior centre-backs. Eric Dier can also operate as a centre-back, but he played a vital role in defensive midfield last season. The recent signing of Victor Wanyama does give Pochettino the option to drop Dier into the back four, with the former Southampton man coming in for him in the no.4 position. However, it seems that Pochettino has other back-up plans. 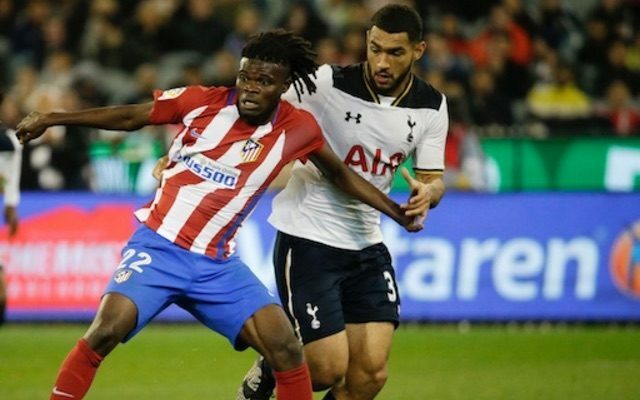 Speaking after a very inexperienced Spurs side were beaten 1-0 by Atletico Madrid in Melbourne on Friday, Pochettino was quoted by Sky as saying: “Today we can see that, in Cameron Carter-Vickers and Anton Walkes, and the other day with Dominic Ball, we have young and talented players and trust in them. Eighteen-year-old Carter-Vickers (pictured) and Walkes, 19, played the full 90 at the heart of the Spurs backline, while Ball made a second-half cameo in the anchor man role where he played occasionally on loan at Rangers last season. Ball, 20, played alongside Carter-Vickers at centre-back in Tottenham’s first public game of this preseason – a 2-1 defeat to Serie A champions Juventus.